Found 14 file extension associations related to WonderShare DVD Slideshow Builder and 1 file format developed specifically for use with WonderShare DVD Slideshow Builder. 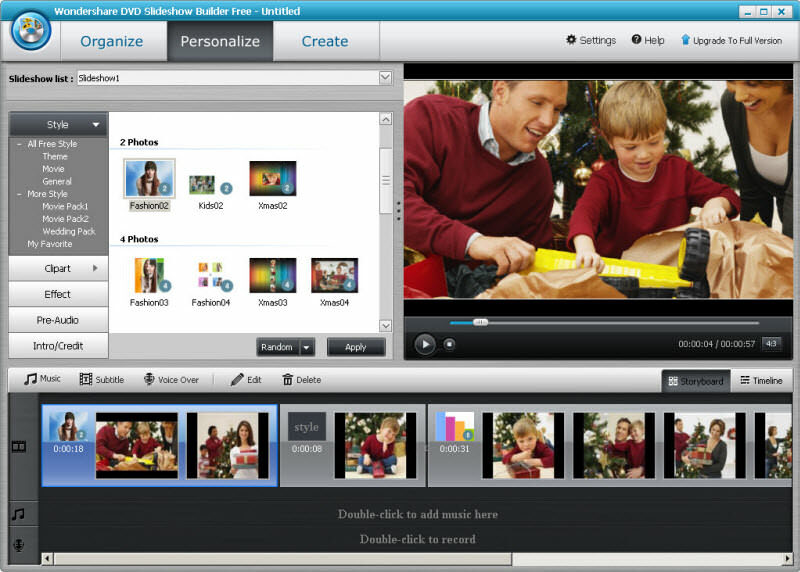 Wondershare DVD Slideshow Builder Deluxe is the easy-to-use yet powerful DVD photo slideshow maker. With it, you can combine your photos and video clips into DVD slideshow with music and 2D/3D transition effects for sharing on TV, YouTube, iPod and so on. Built-in Hollywood styles in the photo slideshow software are also pre-designed for automatic movie slideshow making. Customize a DVD slideshow with 130+ 2D/3D transitions/motions. If you need more information please contact the developers of WonderShare DVD Slideshow Builder (Wondershare Software Co., Ltd.), or check out their product website.